Labour has used its election manifesto to insist that it will set limits on the amount of sugar, salt and fat in foods marketed to children should the party gain power in May's general election, but the 85-page document omits earlier promises to target tobacco companies. The NHS section of the manifesto pledges that Labour "will set a new national ambition to improve the uptake of physical activity", "take targeted action on those high strength, low cost alcohol products that fuel problem drinking" and "set maximum permitted levels of sugar, salt and fat in foods marketed substantially to children". The promises cement commitments made earlier in the year by Labour, when the party said it would "take tougher action" to protect children from "commercial pressures caused by alcohol, sugar and smoke", a thinly veiled criticism of some of the marketing practices adopted by food and tobacco firms designed to appeal to the young. While today's manifesto singles out the marketing of products high in sugar, salt and fat, it is largely silent on tobacco, merely touching on plans to place a "levy on tobacco plans". In January, shadow health secretary Andy Burnham said that "helping people take more responsibility for their own health will be essential if we are to ensure the NHS remains affordable and sustainable for the future". "As part of this, children will need better protection from the pressures of modern living and the harm caused by alcohol, sugar and smoke and Labour will not flinch from taking the action needed to provide it. "David Cameron and his Government are too close to powerful vested interests to stand up for our children. This new positive approach will help give all children a healthy start and help adults to get the most out of life." 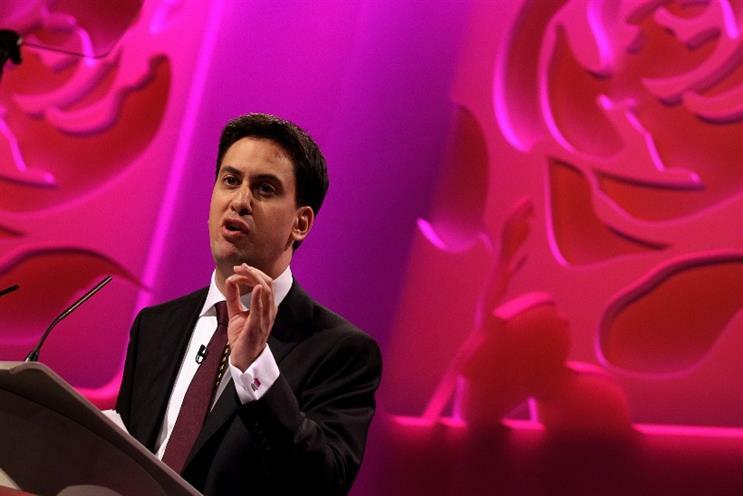 In the manifesto published today, Labour leader and prospective Prime Minister Ed Miliband said: "The fundamental truth that runs through this manifesto is that Britain will only succeed when working people succeed. It is an idea at the heart of my beliefs. And it drives our better plan for a better future. "It means a country where hard work is rewarded, with high skill, high wage jobs. An economy built on strong and secure foundations, where we balance the books."